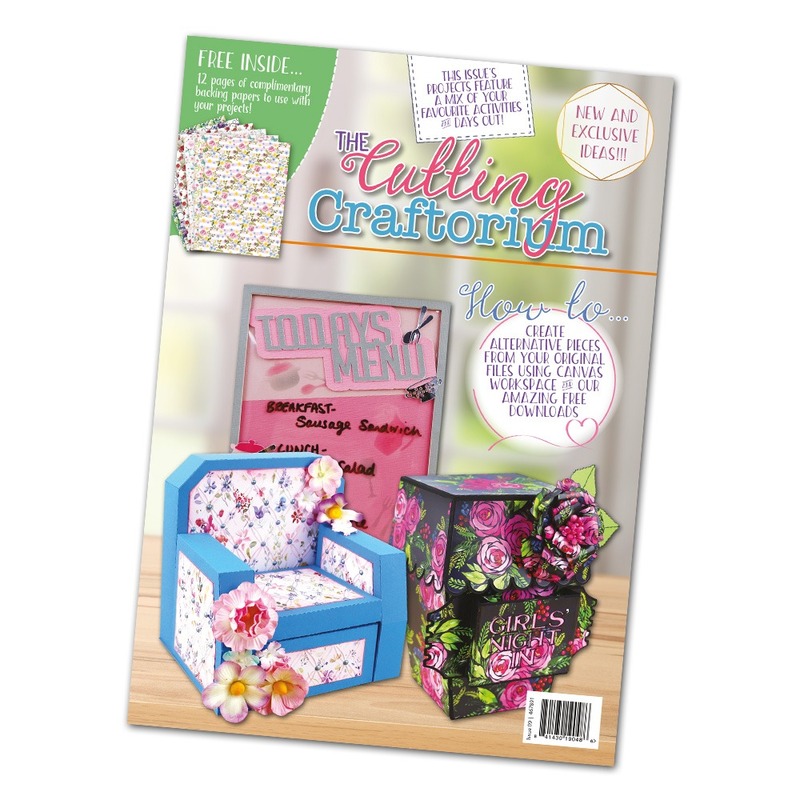 Welcome to another fantastic issue of the Cutting Craftorium magazine! We’ve got a great quirky host of projects for you to try this time around. Store your rainy-day fund in a retro London bus moneybox, or why not create a cosy little armchair as a fabulous piece of home decor for your living room? We also show you how to construct a lidded cassette tape box with a handy carry strap, and an ingenious popcorn box with so many potential uses! As always, we leave plenty of room for your imagination and we know you’ll all come up with even more inventive uses for your projects! Don’t forget your FREE backing papers in the middle of this issue to use with the projects of issue 9, or with your own ideas if you prefer! Take a look, switch on your ScanNCut, and get crafting!